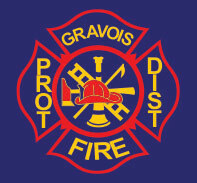 Firefighter: Immediate Opening, one full time position working on a floating shift schedule. Any applicants not selected to fill this position will remain on a hiring list to fill full time positions to staff a second firehouse in 2020. Accepting applications for 2 civilian positions: vehicle/equipment maintenance mechanic and building and facilities maintenance. Part time positions, flexible hours. Go to the Job Opportunities tab for further information; job description, pay/benefit package, minimum requirements for hire and application. We are a tax supported fire district and are a combination department with a paid Fire Chief, Deputy Chief, Clerk and an Administrative Assistant; ten paid firefighters and volunteer staff consisting of firefighters, junior firefighters, officers and support staff. The district is governed by a three member board of directors elected by the voters. Our service area covers 150 square miles on the West side of The Lake of the Ozarks in Central Missouri, in Morgan and Camden County, the City of Laurie and City of Gravois Mills. Our Eastern and Western Boundaries are the center line of the Lake of the Ozarks and encompass 63 miles of shoreline. ANSWER THE CALL! We are always looking for additional firefighers to help meet the requests for service from the residents and visitors to our area. If you are interested in helping your community and your neighbors, “ANSWER THE CALL” join today and become a member of our firefighting family. YOU CAN make a difference. Contact us and find out how! What type of calls do we respond to? The firefighters do not sit around and wait for an alarm. The on duty career firefighters are on work details taking care of the district during the days or in quarters in the evenings. 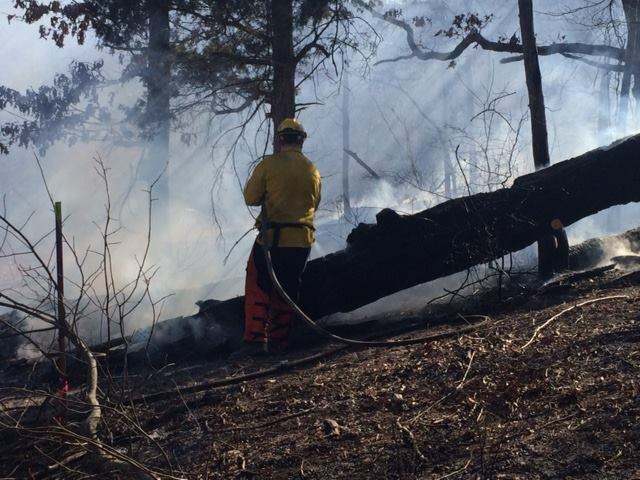 The volunteer firefighters are going about their normal life, taking care of their home, family and other responsibilities while waiting for the call to come. Firefighters also continue with their training and preparations so as to be able to respond to any emergency call. Emergency calls can come in at anytime, anywhere in the District, there is no hour, day, or month when we can plan it will be busy or calls will occur. Fires: Structure, vehicle, wildland, trash and debris fires, on land and water. Motor Vehicle Crashes: Any type of transport vehicle including boats. Rescue Calls: Search for missing persons, water rescues, rope rescues, entrapments not involved in a motor vehicle crash. Emergency Medical Calls: Any potentially life threatening medical emergency, not as a result of a fire, motor vehicle crash or rescue, including assisting Ambulance Services to medical calls in at a residency or business. Hazardous Conditions (no fire): Hazardous material release, flammable liquid leak, gas leak, carbon monoxide incident, electrical wiring or equipment problems, power line down or arcing, vehicle accident for general cleanup. Service Calls: Assist person in distress (may be lift-assist or other aid not related to fire or medical emergency), assist an invalid, smoke or odor removal, assist law enforcement or other government agency, public service detail. 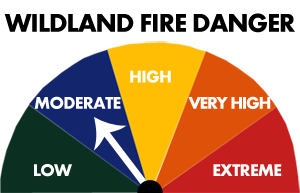 Good Intent Calls: Dispatched and canceled before arrival, no incident found upon arrival, authorized controlled burn, smoke scare or odor of smoke without fire, steam, vapor, fog or dust thought to be smoke. False Alarm & False Calls: alarm system sounding due to malfunction, carbon monoxide alarm sounding due to malfunction, unintentional activation of alarm system, false call. Severe Weather and Natural Disasters: responses other than fire or rescue due to severe weather, weather spotters, clearing storm damage to open roadways, checking on well being of occupants during weather emergencies. 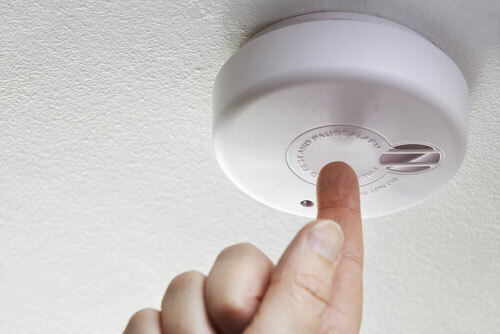 Remember to change the batteries in all your smoke detectors when changing your clocks for daylight savings time. This ensures that the batteries are always good. Test your detectors monthly to be sure they work. It is recommended that you replace a smoke detector when it reaches ten years in service. Smoke Detectors save lives but only if they work. For safety inspections: contact an electrician and have them conduct an inspection based on the regulations from Ameren.